MANORVILLE, Long Island (WABC) -- A vandalism case at a church on Long Island last weekend will now be investigated as a possible hate crime, police say. Suffolk County Police Hate Crime Section detectives will take a closer look into the incident. 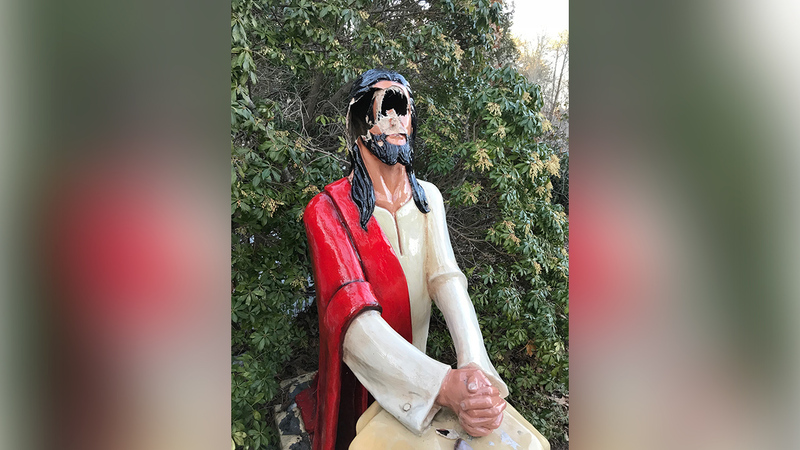 On March 11, the face of a life-size statue of Jesus was smashed by vandals outside the Shrine of Our Lady of the Island Church on Eastport -Manor Road in Manorville. So far there are no suspects in the case.